The original electronics darts games used in sports bars and taverns. 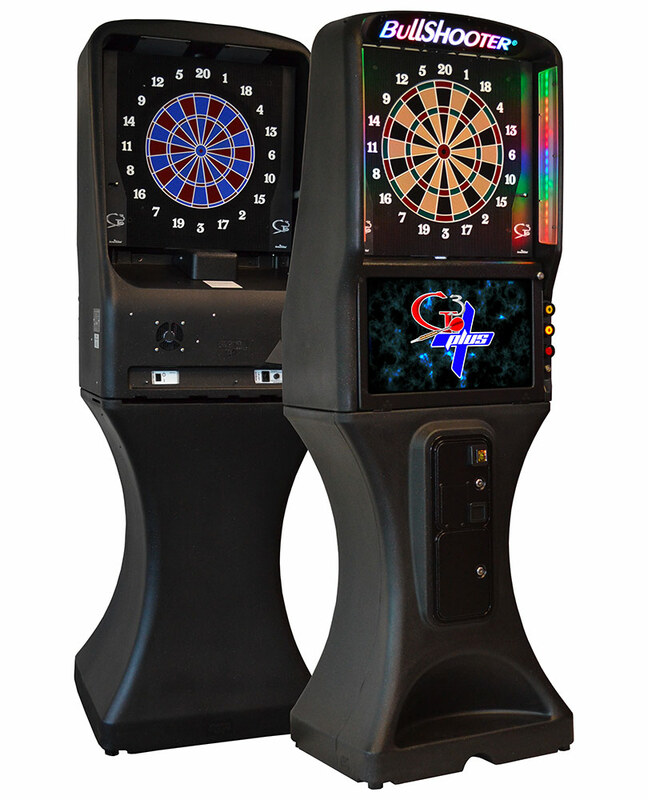 Galaxy 3 LED Electronic Darts Machine for rent is the original electronics darts games used in sports bars and taverns around the world. This is the original commercial version and not the low-cost “home” dartboard sold by many retailers. 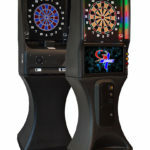 Galaxy 3 LED Electronic Darts Machine for rent is the latest bar dartboard from Arachnid. 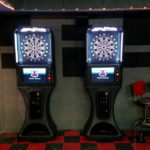 The game features Dual Flip Dartboards and attractive LED Lighting. The Galaxy 3 LED Electronic Darts Machine for rent comes with the original traditional 15” Darthead and the new European size 13” Darthead. Both of their boards are mounted on a rotating board. 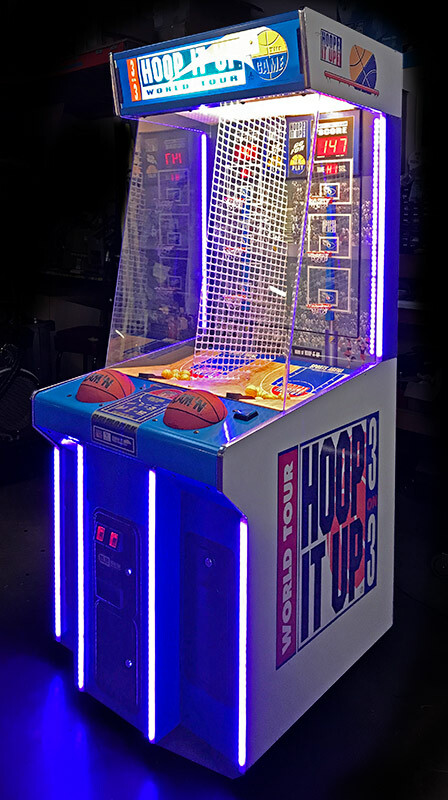 Also new is the LED Illuminated Dart Target and Marquee – Strips of LED Lights line the side of the cabinet giving the player a well-lit darthead to throw at. The LED lights can be changed to display different patterns of attractive colors. 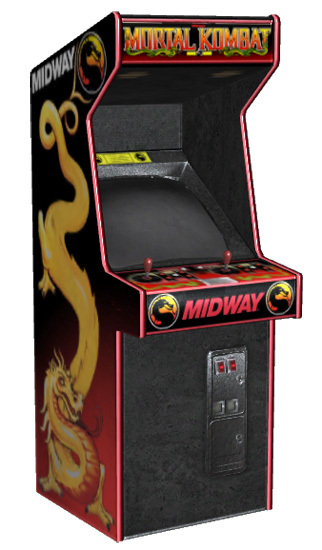 Up to four players can play at a time. Galaxy 3 LED Electronic Darts Arcade Game Machine for rent included the following games: (6) 301 Games, (6) 501 Games, (6) 701 Games, Cricket 200, Hammer Cricket, Team Hammer, Cut Throat Cricket, Team Cricket, Quick Cricket, Wild Card Cricket, Cricket Quickie, Tic Tack Darts, Bermuda Triangle, Gotcha!, Count Up and Count Down. 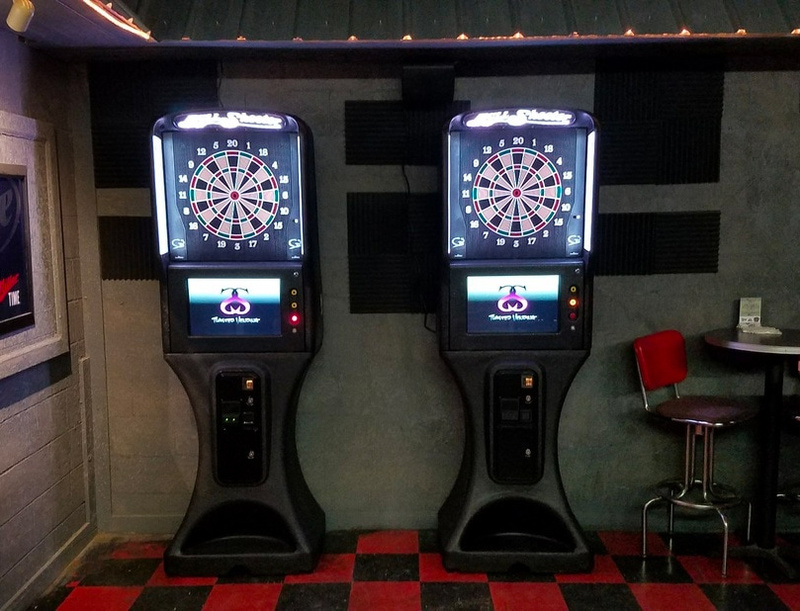 Video Amusement delivers rented Galaxy 3 LED Electronic Darts Arcade Game Machines in San Francisco, San Jose, Santa Clara. Santa Cruz, Palo Alto. Monterey, Sacramento, Los Angeles, San Diego, Silicon Valley, East Bay, Central Coast and Bay Area cities. We cover Northern and Southern California, Nevada and all the Western States. Planning a large tournament? We have 8 units available in our inventory ready for delivery.